The Role of the Leader When We Are Free to Know, Go, Do and Be. Articulate and Tacit Knowledge: The Foundation for the Fourth Generation of Competitive Advantages. Funky Business tells us that the new world is different. Forget the old world order. Forget what you knew yesterday. The revolutionary reality is that 1.3 kilograms of brain holds the key to all our futures. Competitive advantage comes from being different. Increasingly, difference comes form the way people think rather than what organizations make. Today, the only thing that makes capital dance is talent. In such times we cannot have business as usual–we need funky business. Technology, institutions and values are being subverted and overturned. They are the triad, the inter–linked drivers of change, transforming each other and creating a global village of turbulance, tribes and fusion. We are deregulating life for ourselves and our children. Whether you like it or not, we are all condemned to freedom– the freedom to choose. Capitalism has won. There is only one small problem. Is this what we want? Perhaps we should ask ourselves what price we are prepared to pay for prosperity. The opportunities for a richer life and for societies in which people have a genuine chance of realising their dreams have never been greater. It is an entrepreneurs heaven. The democratic market economy is now the preferred choice. However, global market capitalism is not a political ideology. It is neither good nor bad, neither right nor wrong – it just is. It is a set of principles or rules of the game. For most companies this new reality means that they are both under siege by increasingly powerful customers and held hostage by competent individuals who are free to know, go, do and be. To thrive, organisations need to take on the simultaneous task of taming talent and creating new customers. • Doing business in a bazaar – economy. Kjell Nordstrom’s Key Accomplishments Include . . .
Dr. Kjell A. Nordström has 20 years of experience of working as an advisor/consultant to several large multinationals throughout the world. 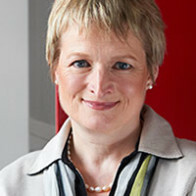 Dr. Nordström is an extremely sought after lecturer and enjoys keynote presentations as well as smaller workshops. 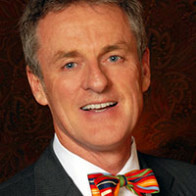 He (along with Jonas Ridderstråle) has been consistently featured on the Thinkers 50 biennial ranking of business thinkers list for more than a decade. Kjell Nordström has published three books (co-authored with Jonas Ridderstråle) and numerous articles on the internationalization process of firms. His books (Funky Business, Karaoke Capitalism, Funky Business Forever) have been featured on CNN and CNBC and appeared in Fortune, Fast Company, Time Magazine, Financial Times, Paris Match, etc. Funky Business was an international bestseller and was translated into 32 languages. 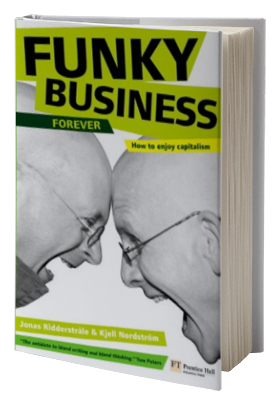 Funky Business Forever, the long awaited update takes a look back on the latter half of the millennium’s first decade and provides evolved thinking and commentary in a way that is truly funky and down to business. 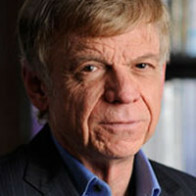 Dr. Nordström holds a doctoral degree in International Business from the Stockholm School of Economics, where he is also an Associate Professor at the Institute of International Business (IIB) and is one of the founders of AMP – the school’s most prestigious management program – which attracts the elite of Scandinavian executives. 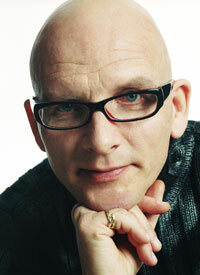 More About Speaker, Kjell Nordstrom . 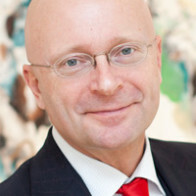 . .
Kjell Nordstrom’s research and consulting focus is on the areas of corporate strategy, multinational corporations and globalization. Dr. Nordstrom’s unorthodox combination of academic rigor, forceful logic and funky free thinking, re-write the rules for revolutionaries. He challenges the validity of conventional approaches in today’s world, yet submits real and alternative strategies for sustainability. His style mirrors his message, unconventional yet valid, dynamic yet noteworthy. 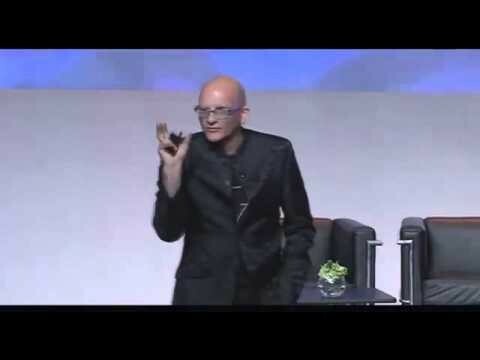 He is not your typical business guru; his revolutionary message is delivered in a revolutionary way.